I spent a lot of today thinking about a composition and how I wanted it to work, and when I finally had a few minutes to play with knobs and cables I just couldn’t get it there. I got close, and ended up somewhere that wasn’t at all bad, but wasn’t the thing I had in my head going into it. 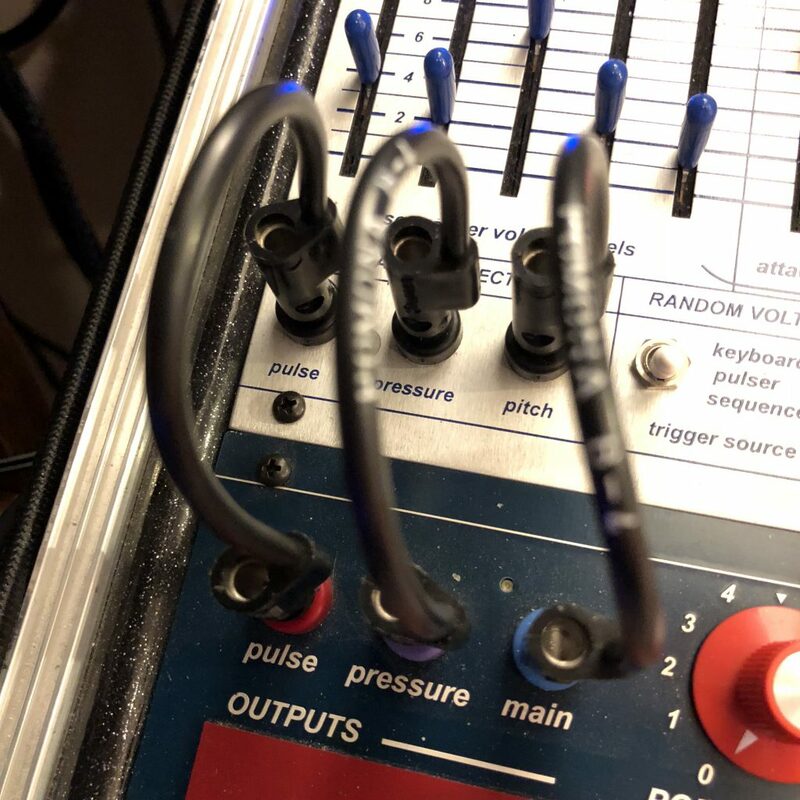 The Buchla Music Easel does that I lot l find, it gives you some thing, just not what you’d necessarily expected. Speaking of expectations there is another tweakable thing that I always think to explore but just never have. The 3 CV outs from the keyboard module correspond to the 3 CV ins above them, but they don’t have to. They can be rerouted and hijacked in any number of ways. Send the sequencer CV to the pressure CVIN and simulate keystrokes maybe? Turn a pulse into a gate? So many options.